Dan Lutz began his education career, passion for international education, and focus on what we should mean by “school” as a high school teacher. During his years in the Teacher Corps in New York and the Peace Corps in Afghanistan he completed his Masters degree in Cross-Cultural Education. After working as a trainer for new Peace Corps Volunteers in Iran, he returned to teach in Denver Public Schools where he designed, developed, and directed a high school international studies magnet program. He served as director for twenty-one years and collaborated with a powerful group of teachers in continually improving the program for its students. He assisted in establishing the DCIS Foundation which provides grants to DCIS students for international and intercultural learning experiences. Following his passion for international studies and education Dr. Lutz completed his Ph.D. with that focus in Curriculum Leadership from the University of Denver. He subsequently taught graduate global education classes for teachers. One of the originators of the Korean Heritage Camp for families with adopted children from South Korea, he later served on the Board of Directors for Colorado Heritage Camps, an organization that expanded to separate camps for families with children adopted from a variety of other countries. In 2000 he co-founded the International Studies Schools Association as a function of the Center for Teaching International Relations at the University of Denver. Dr. Lutz led the expansion of the high school program he directed into the creation, design and development of Denver Center for International Studies (DCIS), a magnet school for grades 6-12, and served as its first principal. As school liaison to the DCIS Foundation Board he supported the expansion of its purview as the new school became established. Based on the DCIS school model he directed the proposal writing and development of the initial design framework for three additional international studies schools in Denver Public Schools. Dr. Lutz continued to support the development of all four DCIS schools and their membership in the national International Studies Schools Network that share a common design framework. Dr. Lutz served this network as a consultant for three years, and was associated with it through the DCIS schools for eight years. Dr. Lutz founded and directs Lutz GLOBE to provide consulting services nationally for businesses, organizations, schools, and school districts. The particular emphasis of GLOBE is on global leadership training, and professional learning frameworks, and school design development. In this context GLOBE serves schools and programs promoting global competence, and business organizations which require global competence to be effective in their operations. 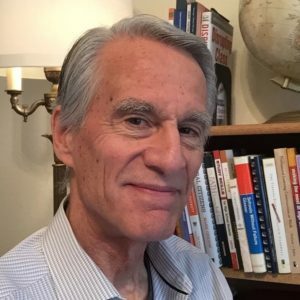 Recently Dr. Lutz co-founded Co-Lead International, a non-profit organization that delivers consulting and programming to develop and promote a new paradigm of globally competent leadership. The nature of this leadership development specifically addresses a major shift in world realities resulting from rapidly expanding implications of technology in every arena of work and home life.